The full bodied, spicy, warm aroma of this Bai Zhi essential oil, when inhaled directly, rises, permeating the nasal passages and frontal sinuses, effectively opening and drying as it goes. Pressure, swelling and pain are quickly reduced. 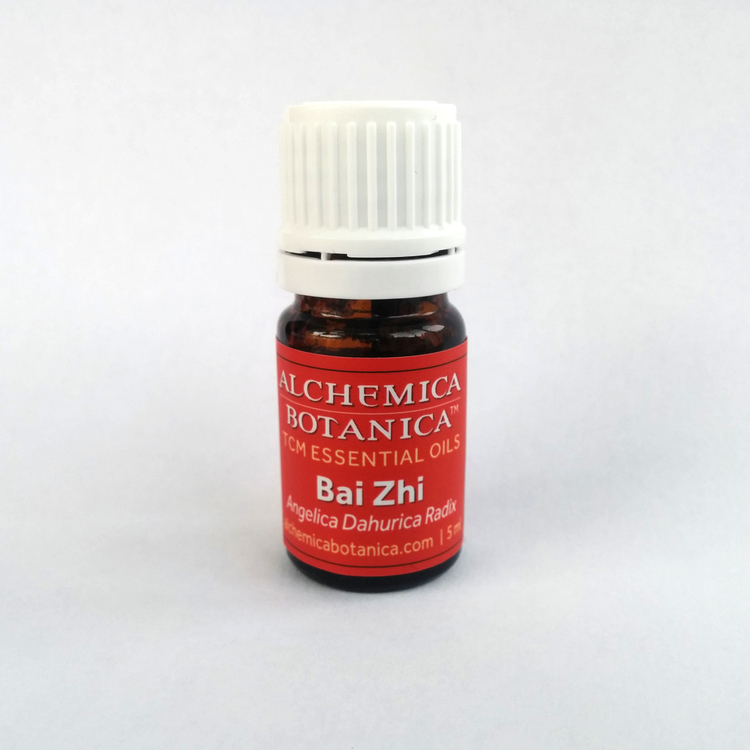 Our Bai Zhi essential oil is CO2 extracted and very concentrated. This method assures that the essence of the plant will express it’s traditional Chinese medicine actions with the added benefit of powerful aromatherapy. Bali Zhi opens the Lung, Somach and Spleen channels. It is frequently used for Yang ming headache and toothache. Dermatologically, Bai Zhi may be applied as an aid to reduce swelling, expel pus and eliminate toxins. Angelica dahurica grows wild in northeastern China, in damp habitats often near riverbanks and along streams. For medicinal purposes, these white colored roots are collected at the end of summered and in autumn when the leaves turn yellow.